What does it take to build a successful eCommerce business? Can you handle it if you run several ventures at once? Today, we ask Zbigniew to share his personal insights on being an AliDropship affiliate AND a dropshipping store owner at the same time! 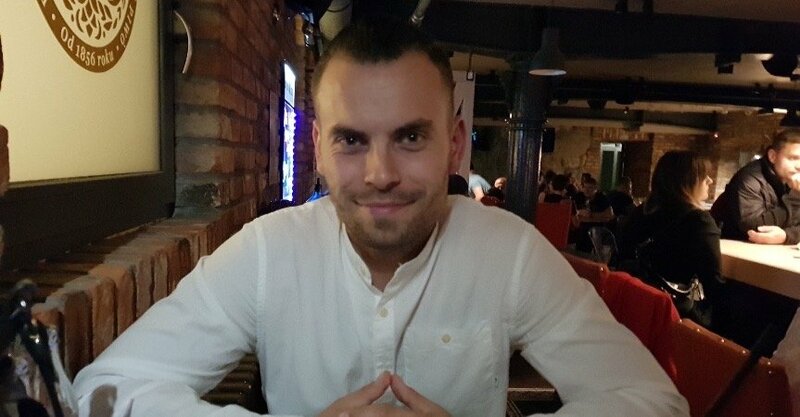 Hello, my name is Zbigniew, I’m 29 year old event manager from Poland. I live in Gdańsk, which is a part of the well known Tricity (a metropolitan area in Poland, consisting of three cities in Pomerania: Gdańsk, Gdynia and Sopot). My journey with Internet websites started when I was 15. I always liked computers and everything related to them. I have registered company here in Poland especially for a dropshipping business. 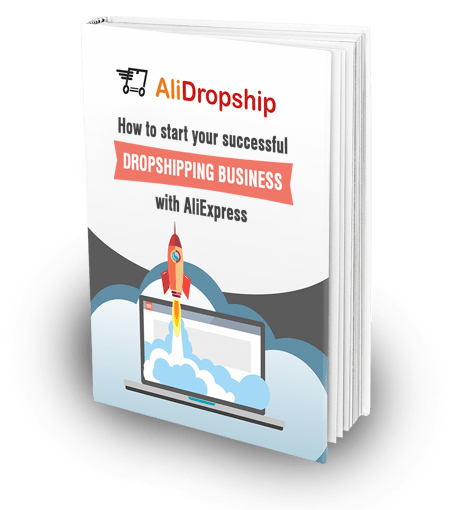 Did you already have any successful eCommerce business before you started working with AliDropship? Well, I’ve been creating websites since 2005, so I started when I was 15. Most of my friends were playing games like Counter Strike, Quake at this age. I played them too for a short while, but after some time, I realized that this is not for me. I decided to learn about hardware and software. That was something which got me in. Our website was the biggest in Poland in this niche. We lost our battle due to competitors and decided to close website after 5 years. I was doing absolutely nothing on the Internet for about 2,5 years till I found Aliexpress.com. And at that moment, I didn’t even have any experience in eCommerce or affiliate marketing. How did you understand that you can build a successful eCommerce business with dropshipping and affiliate models? When I realized that Aliexpress products are really cheap, I started to think of importing some goods from there and sell here in Poland. Before I placed my first order, I found Yaroslav Nevsky (AliDropship Founder) thread on Warrior Forum about his AliExpress dropshipping journey. That was the first time when I heard about dropshipping business. I followed Yaros’ thread from the start to the end, and he motivated me a lot. I had a really tough time in my life and dropshipping was a chance for me because I could start without investing big money. It was the time when AliDropship was still under developing and testing process, it wasn’t available for purchase yet. I contacted Yaros via Skype and asked him about AliDropship and other things related to dropshipping. He was very friendly and helpful and answered every question I asked him. I bet he was talking with a lot of people that time and I am very thankful to him that he found some for me. I can say that I wouldn’t be here where I am today without his help. How did you start using and promoting AliDropship solutions? AliDropship was ready and released a few weeks after I talked to Yaros on Skype, so I collected money for a ready custom store and bought it. My first store was ready in two weeks. I was asked by AliDropship team about my requirements so they could start working on my project. This is how it all began. Once my store has been delivered, I have started Facebook and Instagram Ads and I have received my first sale in first week of running my store. I was really lucky because my niche was very popular then. If we talk about affiliate marketing, I started it in a few years after I discovered dropshipping. My first affiliate program was AliDropship Affiliate. The only thing which made me promote AliDropship solutions was that I just knew that this is really working. I tested it by myself, I earned money with it. If I could make money without any eCommerce knowledge, then everyone can! I would not promote anything If I knew it’s not working. I am just telling people the truth based on my own experiences. I’m not learning about affiliate, I am just sharing my knowledge with people who are related to my affiliate product. Now, I run only two dropshipping stores. I had 6 stores since the day I started, but decided to sell 4 of them on Flippa and via Escrow. I will show you performance of my best store. There is a huge difference between last year and this year. Unfortunately, I found some more competitors in my niche. By the way, I have stopped my ads at the end of January and the beginning of February due to Chinese Holidays. I am creating two more new stores at the moment, so hopefully, the total revenue will be better than how it looks now. What about your affiliate activities? I’m currently promoting three different products through affiliate marketing. There are many ways to do it. I use YouTube, Blog posts, Facebook Groups, and some other places where I can leave a mark behind. I started my affiliate journey using Facebook Groups related to products which I promote. I talked to people who were looking for solutions for their problems, I was giving them advantages of using tool which I promote. How do you promote your dropshipping stores? Mostly, I use Facebook & Instagram Ads and Google Text Ads. I am also posting to Facebook groups about my products. This is very good way to get free strongly targeted traffic. I am using automatic tools so I can schedule posting there. Some of my products are pretty high in many search engines so I am also getting organic traffic. How much time does it take you every day to manage your stores and affiliate resources? Every day I spend about 4-5 hour managing my stores, optimising ads, answering emails, refunds and stuff related to affiliate marketing. In my opinion, the biggest problem in dropshipping are suppliers, not clients. Especially when the store is full of products imported from many suppliers. They sometimes generate tracking numbers and forget to ship the items. Situations like this always end with refund to the client and receiving angry emails about the situation. Customers sometimes wants to exchange the item for a bigger/smaller. I usually give a big discount to order the second product to stop the client from shipping back to China. These situations are just a small percent of all sales, but sometimes happen. My life has changed a lot especially when it comes to home budget. I think my family finally feel relieved after some tough years. I am still working as an event manager, but I can’t wait for the day when I will be able to leave the job and use this time to expand and create more stores. My family always keep fingers crossed for me – they are my biggest supporters. I will definitely create more stores based on AliDropship Original Plugin (I am creating two at the moment). I really like it because this is the fastest way to set up and customize a store. Setting up all marketing takes even more time than this. I also plan to open a professional YouTube channel and record some good reviews of products which I sell. I am still fighting my shyness 🙂 YouTube has an incredible potential and can be used in dropshipping and affiliate marketing as well. What can you advise our readers – those who already have some sort of a successful eCommerce business and those who didn’t start it yet? Several years ago, when I started, I was exactly in the same place as you are now. I was asking myself many questions like: Is it worth it ? Will I be able to sell anything ? How much money do I need ? How and where I should advertise ? And believe me – I am still asking them every time when I create a new store. I am asking myself what is going on when one day is much worse than the previous one. There will always be many questions in this business. AliDropship Plugin costs only $89 which is nothing compared to competitors prices. This is a very low investment with absolutely no risk. There are so many ways of advertising (paid and free ones). All you need is your own engagement with a little bit of luck. 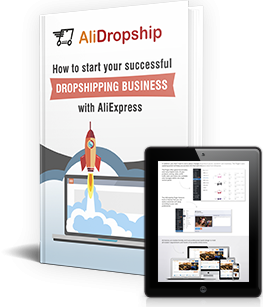 I personally read AliDropship Marketing tips which are very useful for me and my business. I recommend everyone to read them. We are sure: with such a determined attitude, Zbigniew’s successful eCommerce business will soon be famous all over the globe! We thank him for inspiring our readers by his extraordinary example, and wish him the best of luck with his ventures! I just started using Alidropship, and I’m still setting up my store. If you’re looking for something quality, easy and very good… Try alidropship. I was a Shopify customer, but I dislike the fact I keep paying recurring fees and make nothing… It wasn’t good as a beginner for me. I had to port to alidropship and it was a nice decision. Good decision with choosing AliDropship Plugin. Thank to it You will be able to focus more on improving Your store (put money which You had to pay for monthly fees for advertising). Before You will put Your store online make sure Youre website and all products look good and Your payments gateways work fine. I recommend also to share it with Your friends and family and let them say some words about it. Such a feedback is very valuable. Good luck with Your dropshipping journey Jasmine ! I really want to make alidropshipping but how you solving the tax side? How customer will makr payments? Dont we have Tax reponsibility to the Turkey goverment. I understand that Alibaba offers us a website after we make payment 89 usd. does alibaba team makes my website? As you see ı’m ready for alidropship but ı really dont know the ways ı will fallow..! Pls clarfy me step by step shortly. If it comes to taxes, the best way would be to ask accountant which supports eCommerce businesses in Your country. This person will definitely clarify all taxes related questions to You. Thank to this service You will receive Your own store which will be created by AliDropship Team. What’s more important – Your store will be full of products and ready to generate sales. This is exactly what I did in the beginning of my Journey. I have ordered ready store from AliDropship team. If You have any questions feel free to catch me on facebook (link in the top of my review). Any step by step beginner tutorials for affiliate marketing? Please. There, we share other success stories of AliDropship affiliates, and also share tips on affiliate marketing. Read this list, pick the solution that works in Pakistan, and you can safely start your business! Can you share urls of your managed online stores?